Seeing two huge talents like Pablo Lima and Paquito Navarro together will be one of the incentives of the upcoming Bilbao Open 2018. Two players that have been fighting for titles and to lead the rankings in recent years. Both of them return after missing the Granada Open and the challenge for these two is to hit the ground running. For Pablo Lima, this will be his fourth partner of the season, as he continue to wait for Fernando Belasteguín to return from injury. Until the Argentine fell injured, they won three titles (Alicante, Valencia and Bastad). 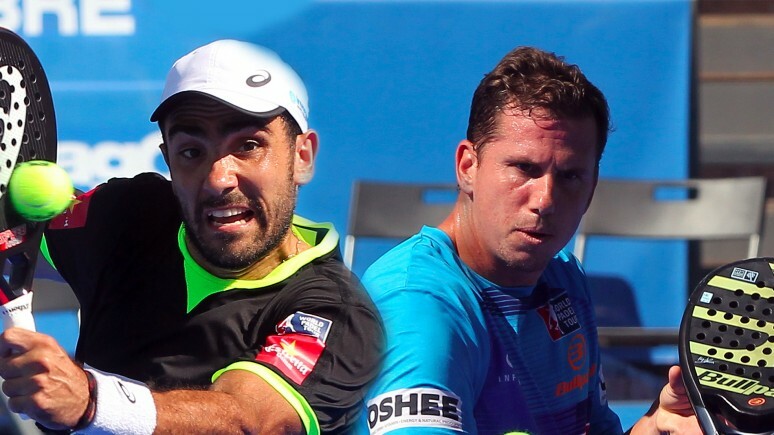 In the absence of Belasteguin, Lima has played with Marcello Jardim and Agustín Gómez Silingo. Lima reached the quarter finals in Andorra, Lugo and Lisbon in this phase. Paquito Navarro is back after his accident at the Lisbon Master. Until then, the Andalusian had played with Juan Martín Díaz. Navarro reached three finals with the legendary Argentinian player and has reached the quarter finals, at least, at every tournament. The charismatic Andalusian is, firstly and foremost, looking to recover from his accident and then to adapt to his new partner in Bilbao. Power and heaps of talent come together for this intimidating pairing. They will be the number 2 seeds in Bilbao and will make their debut on Thursday. Keep a look out for this exciting pairing, looking to go all the way at the Bilbao Open 2018.